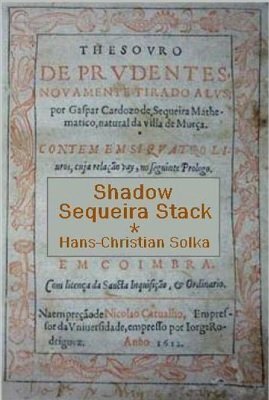 The venerable Sequeira stack from 1612 has been refurbished using the present day shadow concept. The Shadow Sequeira Stack allows to determine preceding and succeeding card as well as smooth translation from card to position and vice versa. The description of this universal stack is an exclusive extract from the author’s book In the Shadow Realm of Playing Cards . This is similar to other magic authors works but still deserves a place in any magicians working library if not to just wake their sleeping minds. All effects in magic have many variations some created at the same time in different locations around the world some years apart but only the quality of well-practiced routine and performance with quality and style can do any effect true justice. I am both disappointed and surprised. Disappointed because this is an exact copy of one of Karma Deck variations. No difference or improvement. And surprised because the author has managed to complicate the inherent simplicity and brilliance of the Karma Deck principle by unnecessary usage of math formulas, which drags the manuscript to 4 pages.